2008 Dodge Ram 1500 SLT 4.7L V8, AM/FM Compact Disc w/SIRIUS Satellite, AM/FM radio: SIRIUS, Badge, CD player, Heated door mirrors, Power door mirrors, Quick Order Package 24G SLT, Remote keyless entry, SIRIUS Satellite Radio. SLTCome visit the ALL NEW PARKS CDJR SPACECOAST. Delivering the Experience you Deserve!Recent Arrival! 2005 Dodge Durango SLT HEMI Magnum 5.7L V8 SMPI, 4WD. 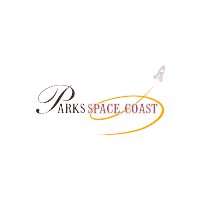 SLTCome visit the ALL NEW PARKS CDJR SPACECOAST. Delivering the Experience you Deserve!Recent Arrival! * CLEAN CARFAX, Next Generation Magnum 4.7L V8, 17 x 8 Chrome Clad Steel Wheels, 3.55 Axle Ratio, 40/20/40 Split Bench Seat, 4-Wheel Disc Brakes, ABS brakes, AM/FM Compact Disc w/Changer Control, Compass, Dual front impact airbags, EVAP Control System, Front Center Armrest, Heated door mirrors, Illuminated entry, Power windows, Remote keyless entry, Speed-Sensitive Wipers.At Ford of Wesley Chapel of Wesley Chapel, you receive exclusive features and benefits to both enhance and protect your vehicle. ***PARKS PLUS PROGRAM-From protective coatings for your paint, headlights and interior surfaces to anti-theft VIN etching, on demand roadside assistance, ID theft protection, $2,500 deposit protection, we provide you the most value for your money. Guaranteed. 2003 Dodge Ram 1500 Leather, HEMI Magnum 5.7L V8 SMPI.Come visit the ALL NEW PARKS CDJR SPACECOAST. Delivering the Experience you Deserve!Recent Arrival! Stone White Clear Coat 1999 Jeep Wrangler SE 4WD 3-Speed Automatic 2.5L I4 MPI * ALLOY WHEELS.Recent Arrival! * CLEAN CARFAX, 4-Wheel Disc Brakes, 6 Speakers, Air Conditioning, AM/FM/CD Audio System, Dual front impact airbags, Dual front side impact airbags, Four wheel independent suspension, Heated door mirrors, Illuminated entry, Low tire pressure warning, Power door mirrors, Rear window defroster, Remote keyless entry, Speed-sensing steering. At Ford of Wesley Chapel of Wesley Chapel, you receive exclusive features and benefits to both enhance and protect your vehicle. ***PARKS PLUS PROGRAM-From protective coatings for your paint, headlights and interior surfaces to anti-theft VIN etching, on demand roadside assistance, ID theft protection, $2,500 deposit protection, we provide you the most value for your money. Guaranteed. Racy yet refined, this 2005 Buick LaCrosse will envelope you in well-designed charm and security. With a Gas V6 3.8L/231 engine powering this Automatic transmission, it is a vastly understated assertion of your dominion over the open road. It is stocked with these options: WHEELS, 16 (40.6 CM) ALUMINUM, 8-SPOKE, PAINTED (STD), UNIVERSAL TRANSMITTER, HOMELINK includes garage door opener, 3-channel programmable, TRANSMISSION, 4-SPEED AUTOMATIC, ELECTRONICALLY CONTROLLED WITH OVERDRIVE (STD), SUNROOF, POWER, TILT-SLIDING, ELECTRIC, SOUND SYSTEM, ETR AM/FM STEREO WITH CD PLAYER includes seek-and-scan, digital clock, auto-tone control, speed-compensated volume and TheftLock (STD), SOUND SYSTEM FEATURE, XM SATELLITE RADIO. features 67 channels of 100% commercial-free music included in its over 150 channels of the best in music, news, sports, talk, comedy, XM Instant Traffic and Weather, and more. Digital quality sound with coast-to-coast signal coverage. Three trial months -no obligation., SEAT ADJUSTER, POWER, FRONT PASSENGER 6-WAY, REMOTE VEHICLE STARTER SYSTEM, REAR PARKING ASSIST, ULTRASONIC includes rearview LED light bar and audible warning, and PAINT, SOLID (STD) . Visit Deland Toyota at 1701 S Woodland Blvd, Deland, FL 32720 today. 2002 Cadillac Escalade Base AWD, Pewter Leather.Come visit the ALL NEW PARKS CDJR SPACECOAST. Delivering the Experience you Deserve!Recent Arrival! COLD AC, CRUISE CONTROL, PWR DOOR LOCK, PWR WINDOWS, TILT WHEEL, 16 x 6.5 Cast Aluminum Wheels, 6 Speakers, ABS brakes, Air Conditioning, AM/FM radio, CD player, Dual front impact airbags, Fully automatic headlights, Power windows, Remote keyless entry, Security system, Speed-sensing steering. At Ford of Wesley Chapel of Wesley Chapel, you receive exclusive features and benefits to both enhance and protect your vehicle. ***PARKS PLUS PROGRAM-From protective coatings for your paint, headlights and interior surfaces to anti-theft VIN etching, on demand roadside assistance, ID theft protection, $2,500 deposit protection, and an exclusive 150,000 mile engine warranty, we provide you the most value for your money. Guaranteed. Sophisticated, smart, and stylish, this 2012 Mazda Mazda6 is a meticulous collaboration between pleasantness and polish. With a Gas I4 2.5L/152 engine powering this Automatic transmission, it is an understated assertion of your dominion over the open highway. It's outfitted with the following options: FIREGLOW RED, BLACK, CLOTH SEAT TRIM, Warning lights -inc: airbags, battery charge, check engine, door ajar, high-beam, low fuel, oil pressure, parking brake, seat belts, Variable-intermittent windshield wipers, Triple-H body construction, Trip computer, Traction control system (TCS), Tire pressure monitoring system (TPMS), T115/70D16 temporary spare tire, and Sunvisors w/illuminated vanity mirrors, sliding extensions . Visit Deland Toyota at 1701 S Woodland Blvd, Deland, FL 32720 today. 2005 GMC Envoy SLT Sunroof, Leather. SLTCome visit the ALL NEW PARKS CDJR SPACECOAST. Delivering the Experience you Deserve!Recent Arrival!